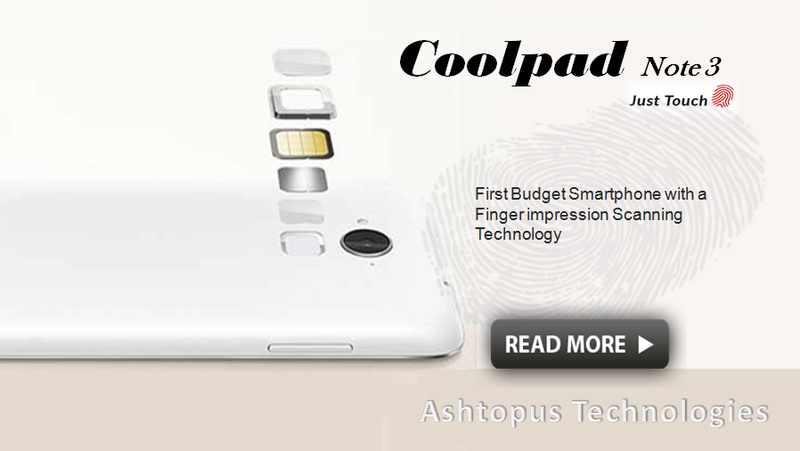 Chinese smartphone manufacturer Coolpad has launched its Note 3 featuring with FPC’s fingerprint touch sensor FPC1025. The FPC1025 offers the lowest power consumption and user flexibility in the industry, while its 3D pixel sensing technology enables it to read nearly any finger, regardless of if it is dry or wet. Ashtopus Technologies is the leading distributor and supplier of FPC biometric fingerprint sensors, module and components in SAARC countries (Afghanistan, Bhutan, Pakistan, India, Maldives, Nepal, Sri Lanka). These touch sensors are of many types and their integratabality on mobile phones makes it smarter in mobile world.